Forget flower petals - brightly colored fall leaves serve as gorgeous table decorations, especially for rustic-themed weddings! Orange, red, or yellow flowers, wooden vases or candle holders, and red or orange tealights can create breathtaking centerpieces. Sprinkling fall leaves around the center of the table is the perfect finishing touch! When it comes to autumn weddings, sometimes the perfect fall decoration is the icing on the cake - literally! Fake leaves and dark red flowers can give your cake a beautiful fall feel that looks good enough to eat. Encourage your guests to celebrate the season alongside you with adorable fall-themed wedding favors! 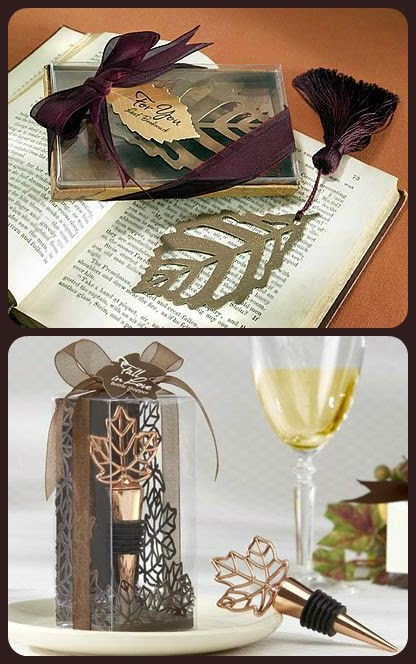 WhereBridesGo.com has several unique wedding guest favors to choose from, including these adorable copper leaf bottle stoppers and burgundy leaves bookmarks. These ideas should help you get started planning the fall wedding of your dreams. 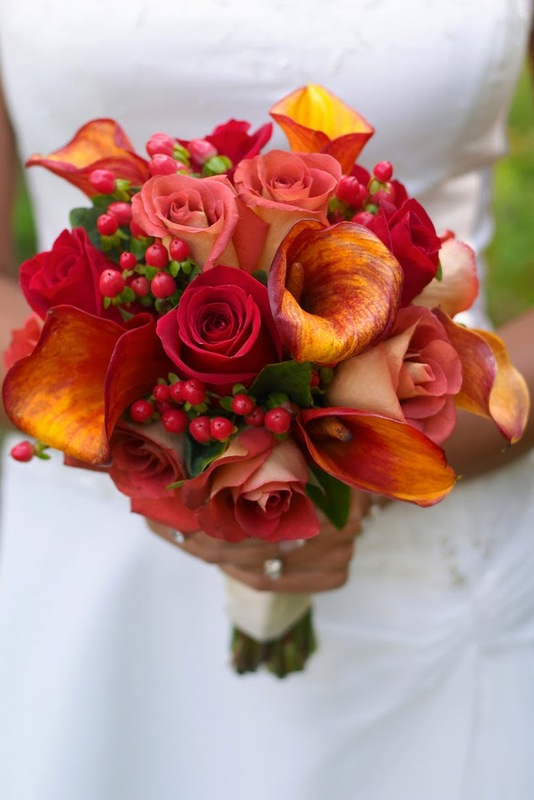 You can also check out our Fall Weddings Pinterest Board for more inspiration! What other ideas do you have for planning an autumn wedding? We'd love to hear your thoughts!